Why we love it: Get serious about fighting off odor. 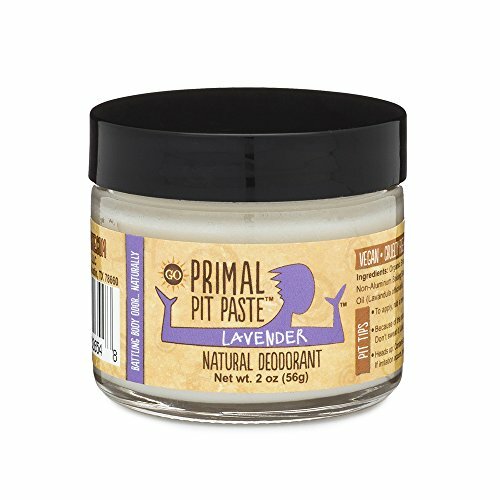 This completely natural deodorant paste uses the knock-out combination of Baking Soda to neutralize odor causing bacteria, Coconut Oil for anti-microbial properties and Shea Butter to soothe the skin. From the workplace to the gym, Primal Pit Paste keeps odor in check without clogging sweat or toxic ingredients. Available in 6 scents: Jasmine, Lavender, Orange Creamsicle, Patchouli, Thyme and Lemongrass and Unscented. Apply a pea-sized amount to each underarm.